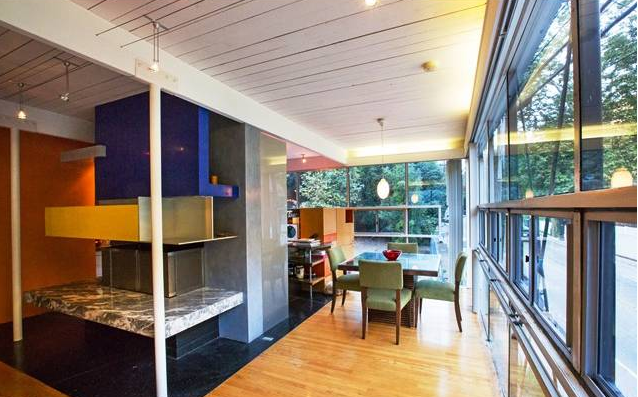 Craig Ellwood's 1949 Broughton House is a bold precursor of his Case Study designs. 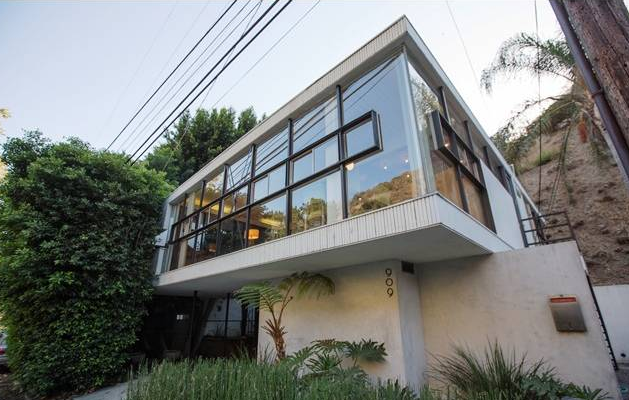 Modular construction and Miesian styled steel beams support curtain windows that draw light and afford hillside views. 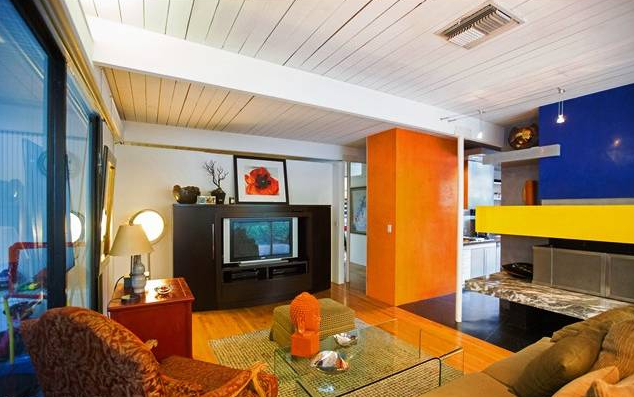 Two bedrooms and a bathroom on main level and third bed and bath below adjacent to car port.